RAPID CITY, S.D. - Two 19-year-old men who are charged with killing a 17-year-old pleaded not guilty in a Rapid City courtroom Tuesday. 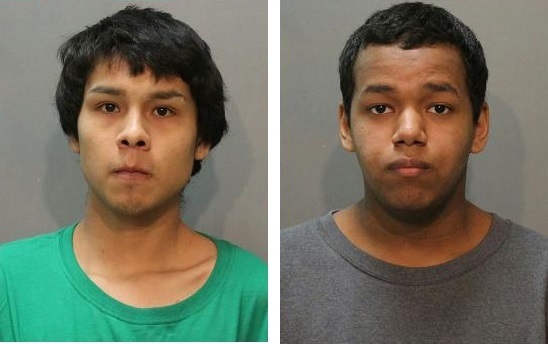 Cole Waters and Andre Martinez are accused of fatally shooting Emmanuel Hilton in February. They are accused of killing Hinton of Box Elder on February 26 during an apparent drug sale. Prosecutors say Martinez planned the robbery, and Waters held Martinez's gun to Hinton's head and shot him. Both are charged with first degree murder, committing a felony while carrying a firearm, first degree robbery, and conspiracy to commit first degree robbery. If convicted of murder, Waters and Martinez could be sentenced to death or life in prison.